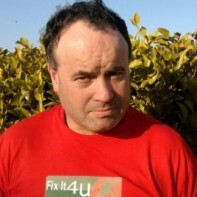 Bart Murphy is standing as an independent candidate in Kildare North. During the boom years of the Celtic Tiger, Murphy was heavily involved in the construction industry, his company Bart Murphy Plastering Partitions employing over 180 people at one stage. Having lost millions in the economic crash, Murphy now hopes to be able to use his knowledge of land and property values to assist in the country's recovery. In raising money and awareness for St. Luke's Hospital, Rathgar, Murphy recently attempted to walk over 1,000 miles in 80 days to break a record held by jockey Richard Dunwoody. I’m sorry but a look through this guy’s policies and ideas do not encourage me to give him more than #8 on my ballot sheet.